LASERs (Light Amplification by Stimulated Emission of Radiation) are one application that has come out of the study of quantum mechanics. The birth and development of this field in the early 1900's can be attributed to such noted physicists at Max Planck, Niels Bohr, and Albert Einstein. Lasers are now part of our everyday lives. No other caries detection aid can do this. 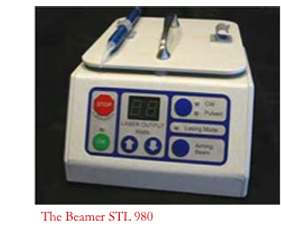 The other laser being used in Dr. Mika's office is called The Beamer STL 980. This is a diode laser used for surgery and treatment of soft tissue only. It is a Class IV laser that operates at 980nm. Because this is in the near infrared part of the electromagnetic spectrum, it is free from any ionizing radiation. The Beamer is both very effective and easy to use. 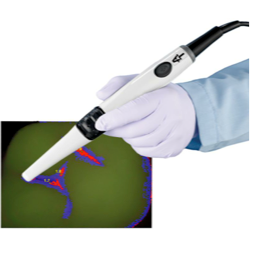 The indications for use of this soft tissue laser are numerous and include the following: Gingivectomy, crown lengthening, apthous ulcer treatment, periodontal treatment, hemostasis, frenectomy, biopsy, tooth exposure, and gingival troughing for crowns. Dr. Mika has taken a 12-hour Lecture and Hands-On Course and passed a Clinical Simulation Exam at The Ohio State University, a Recognized Course Provider of the Academy of Laser Dentistry. He also passed a 75 question written exam administered by the Academy of Laser Dentistry. In doing so, Dr. Mika has achieved Academy of Laser Dentistry Standard Proficiency Certification. Although certification is not required in Ohio, Dr. Mika has decided to be proactive in achieving certification in order to provide the best possible care to his patients.